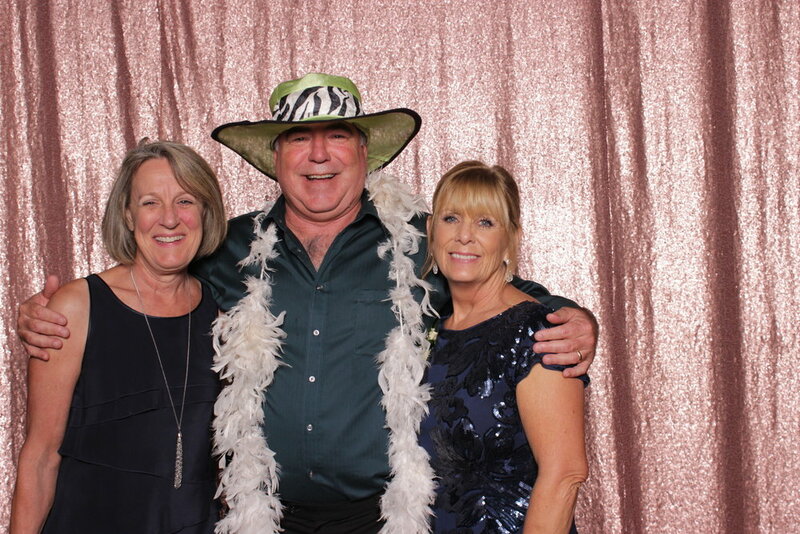 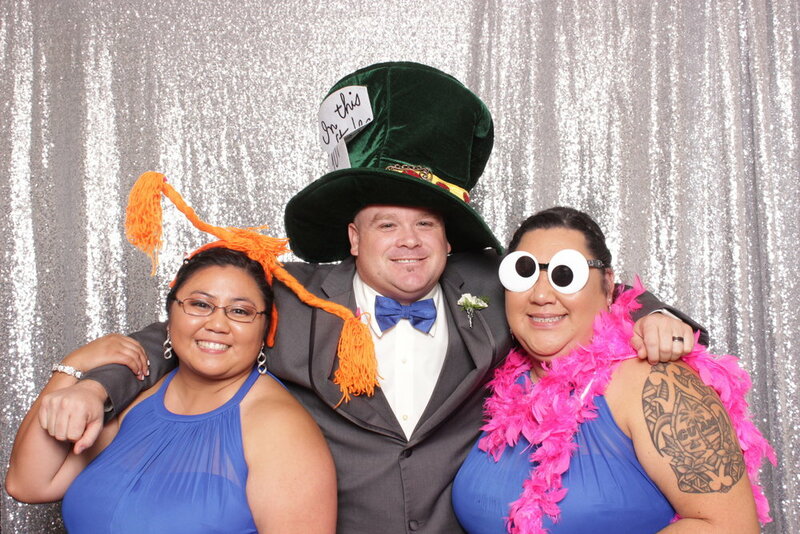 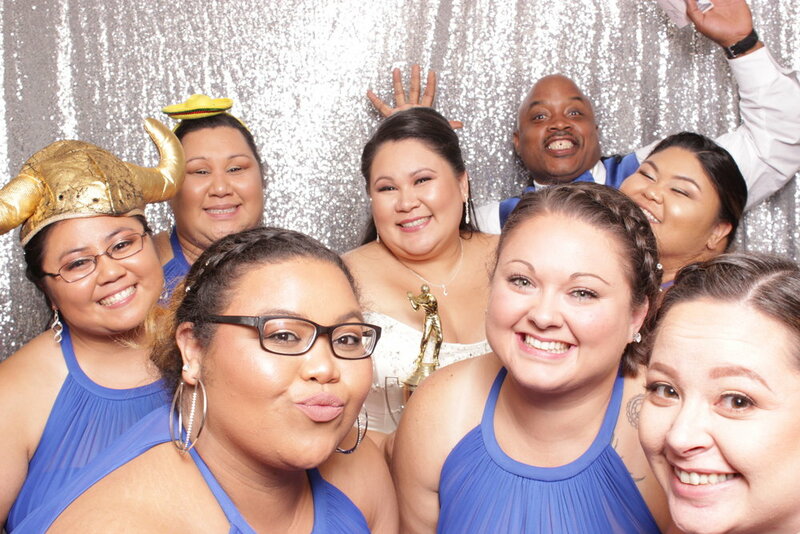 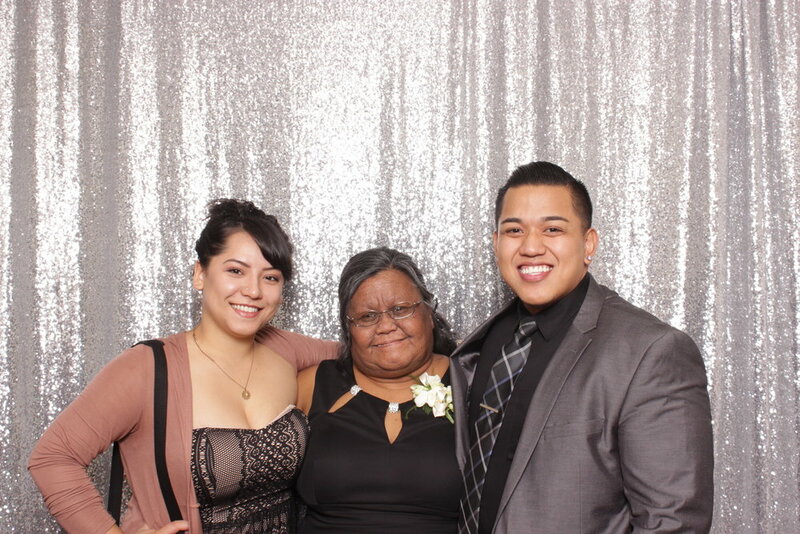 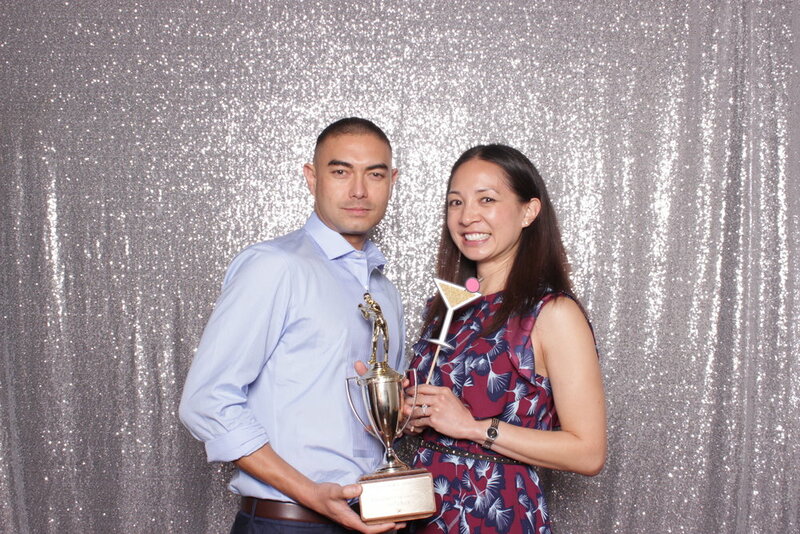 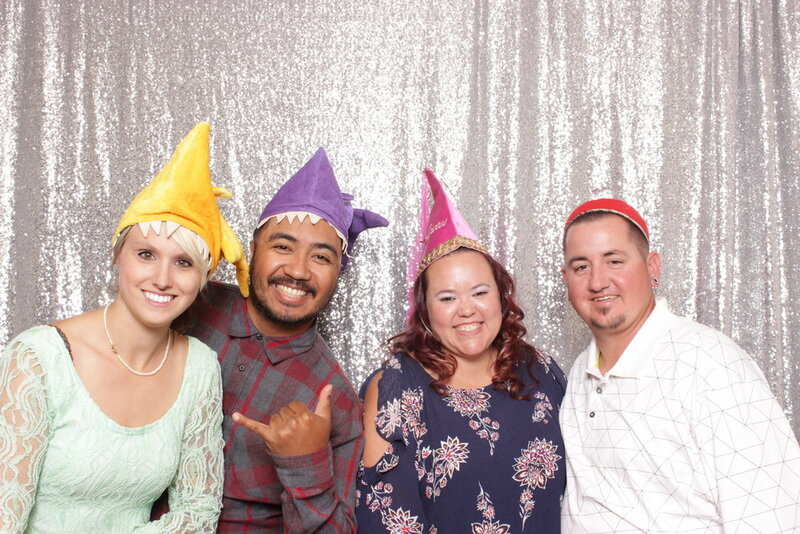 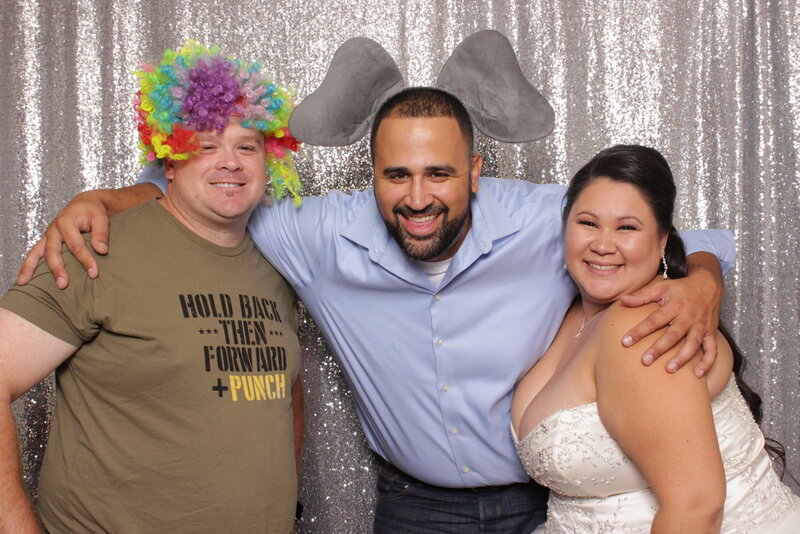 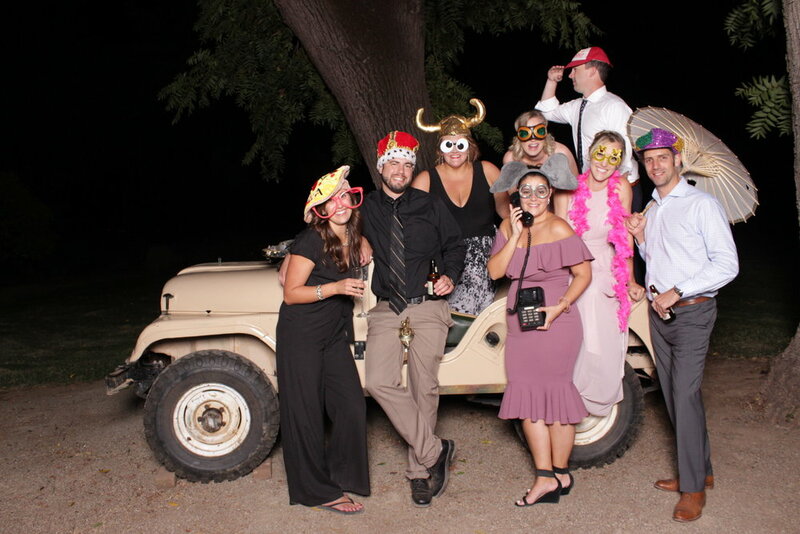 Justin and Nikki's wedding reception at Palms Pavilion in Chico, CA was a wildly fun occasion, and TrèBooth was there to capture a few of the best moments! 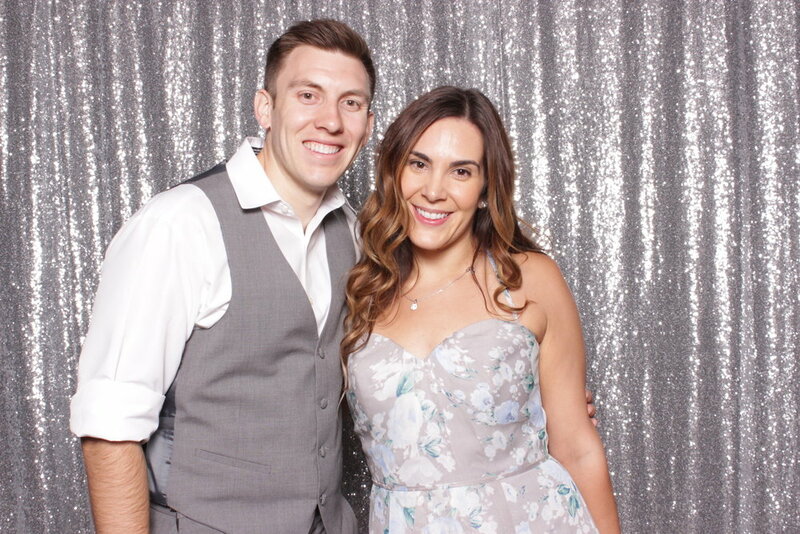 The sequins silver background was the perfect choice for this classy event, setting the mood for captured moments these newlyweds will cherish for the rest of their lives. 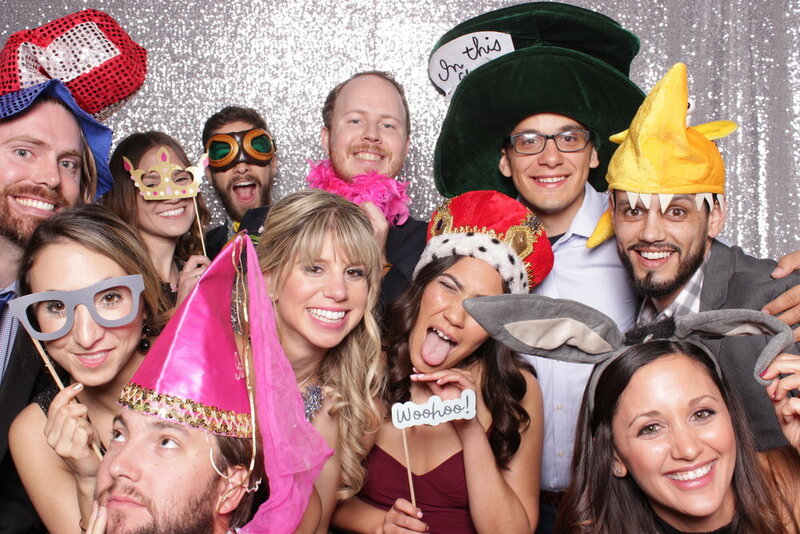 Check out some of our favorite photos! 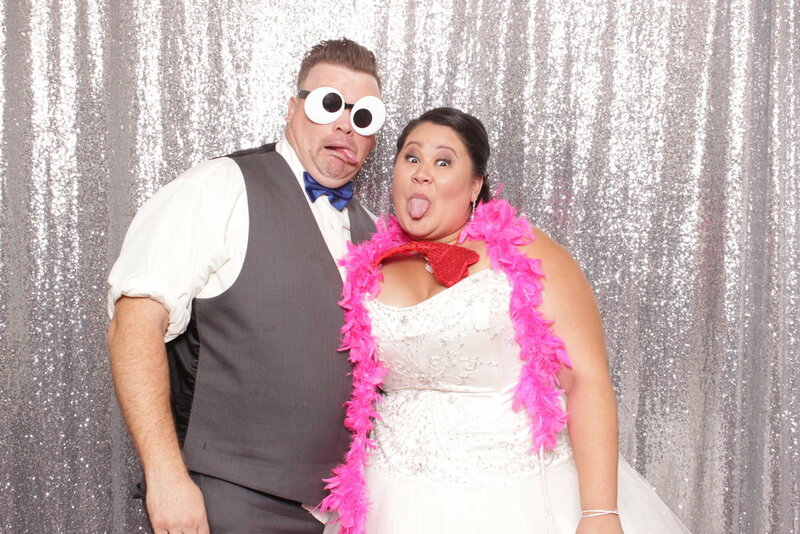 Brad and Tianna had quite an extravagant and lively wedding reception at Palms Pavilion in Chico, CA. 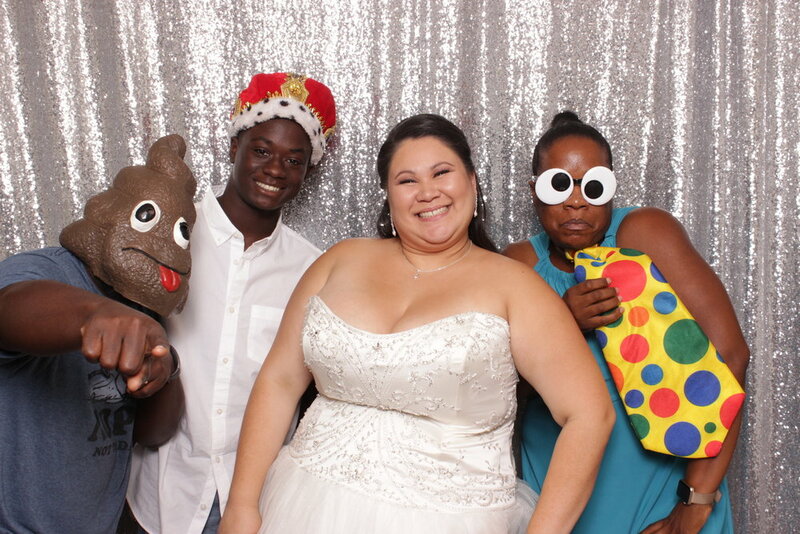 Surrounded by friends and family, their special day was celebrated to the fullest, and to help commemorate such a unique occasion, TrèBooth was there to capture some of the wildest moments! 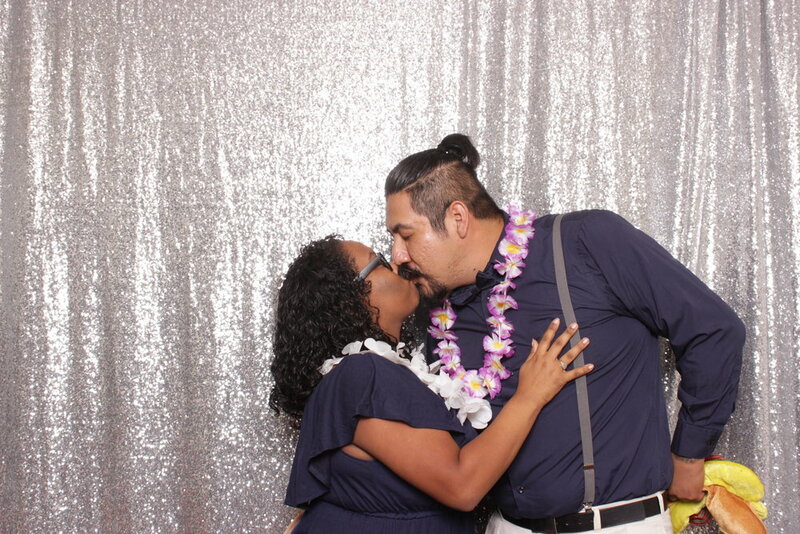 Here are some of our favorite photos! 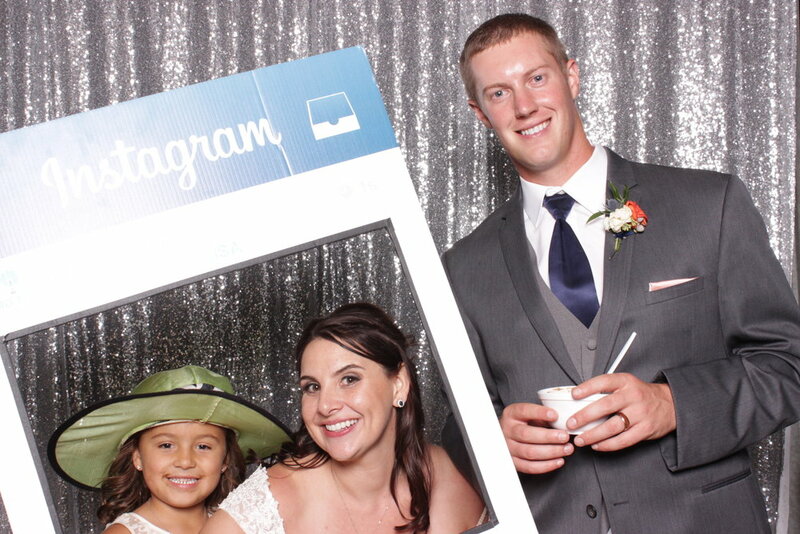 Bret and Jennifer had a beautiful wedding just outside of Chico, California at Bella Rosa Farm! 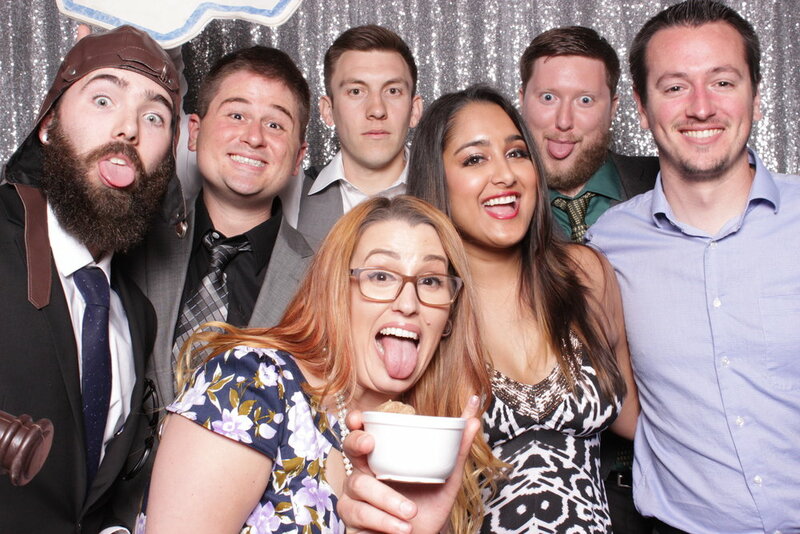 The live band and energetic atmosphere kept the party going throughout the evening. 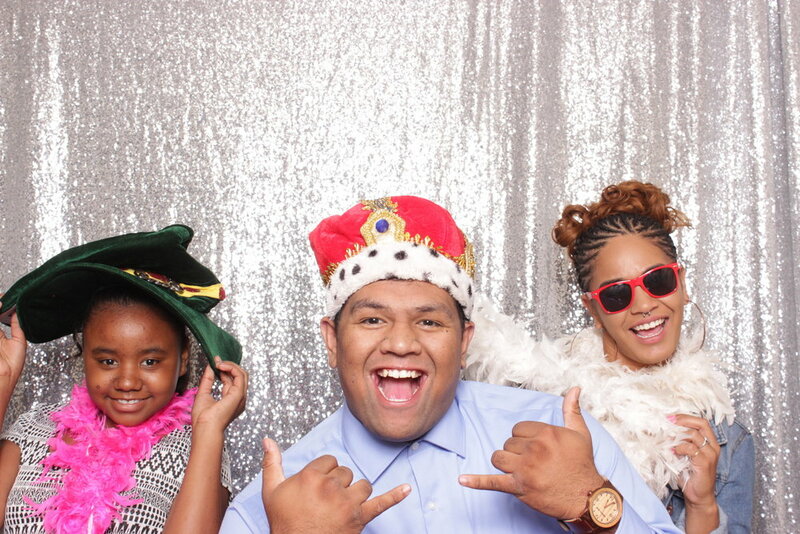 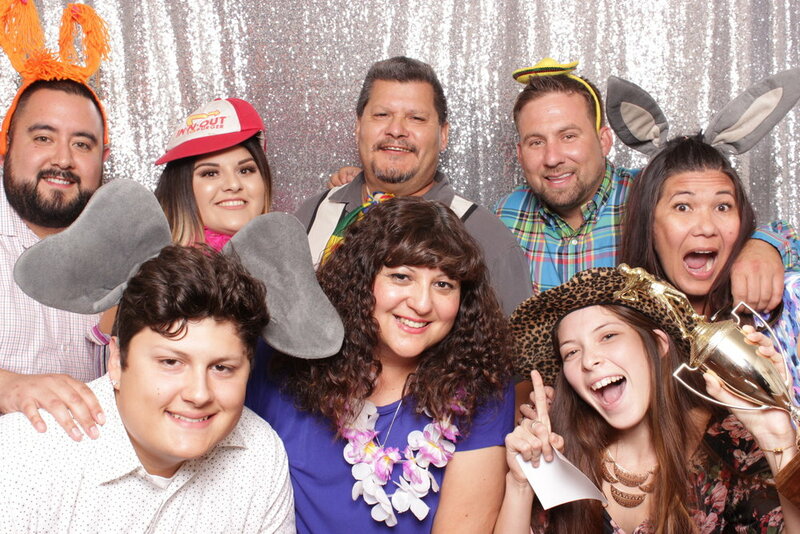 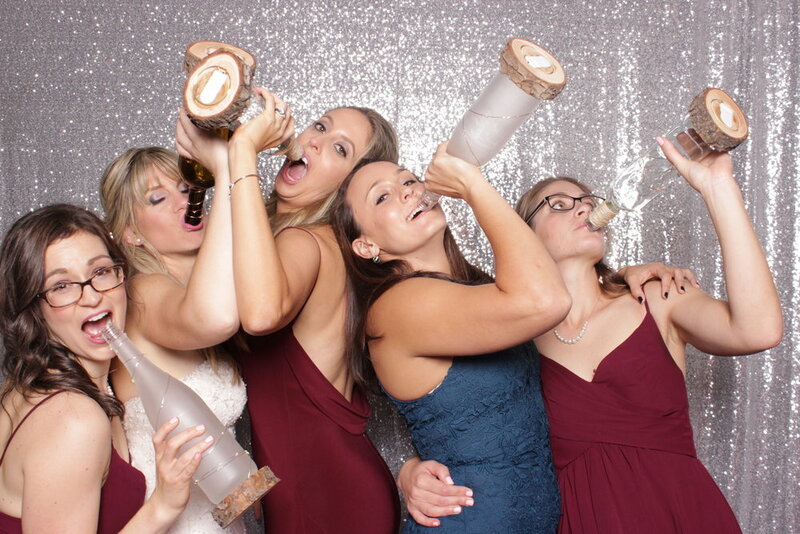 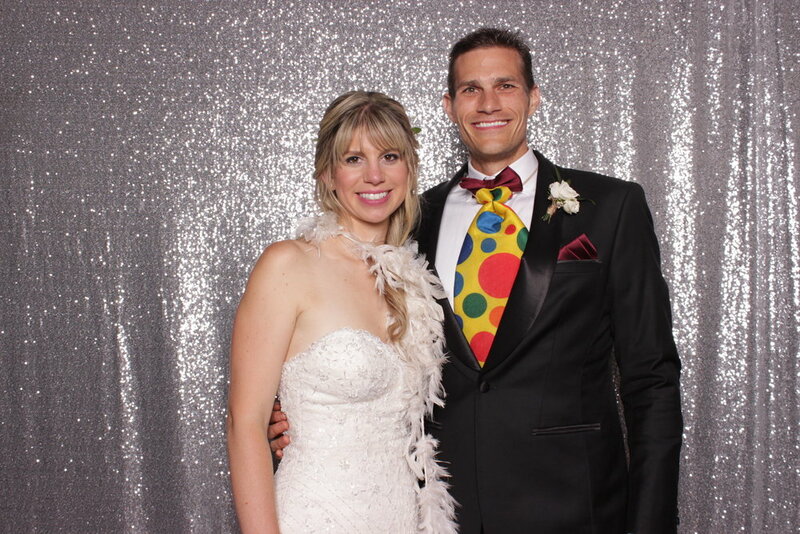 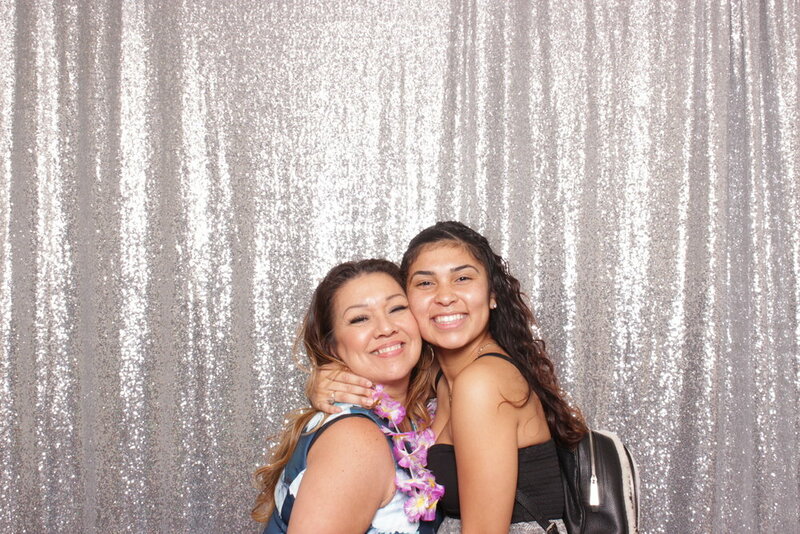 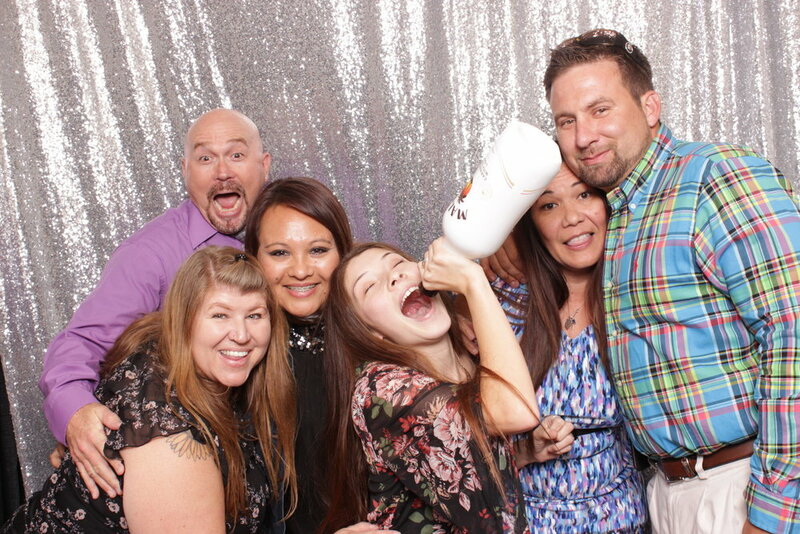 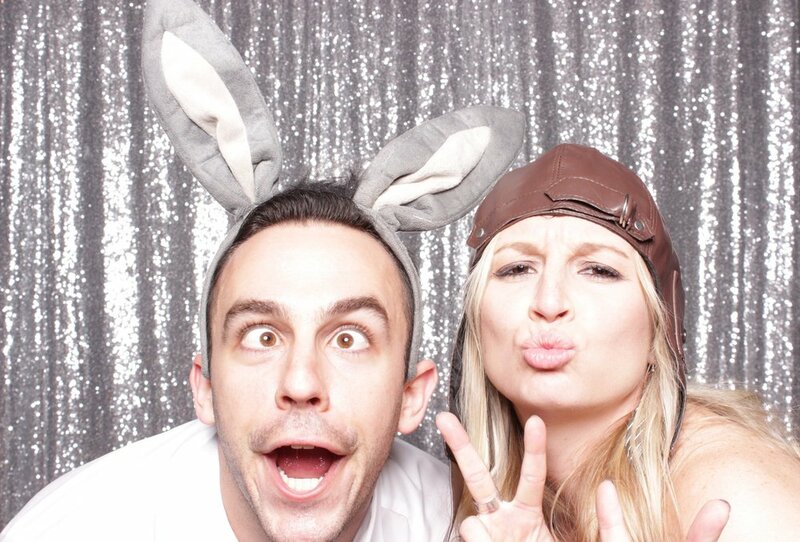 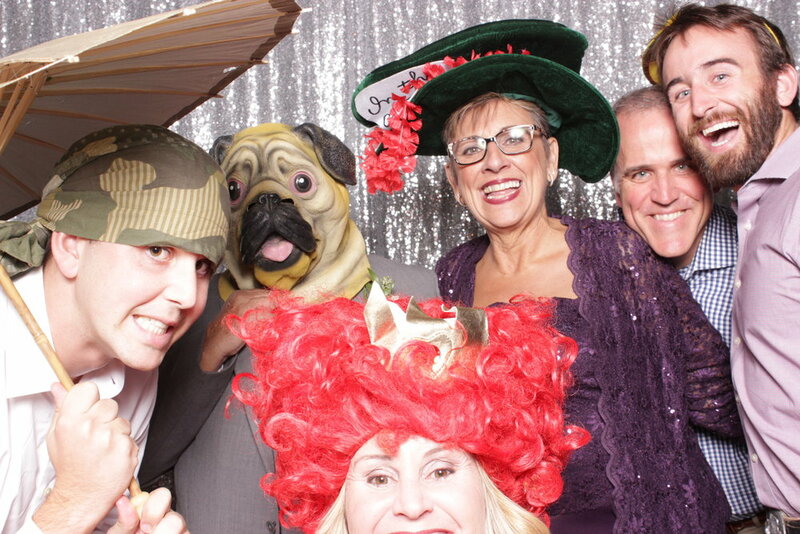 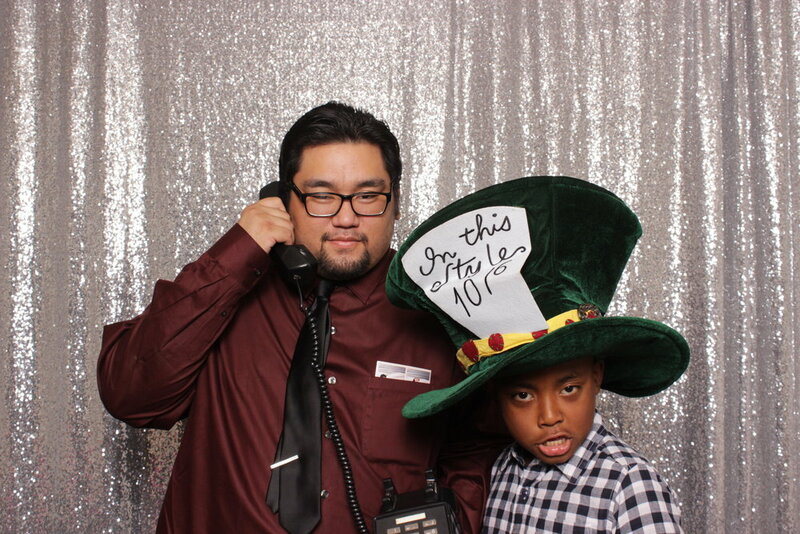 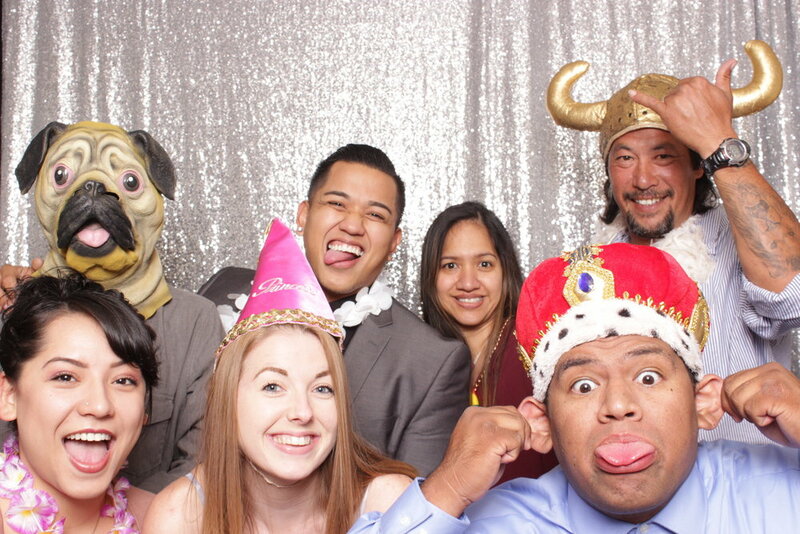 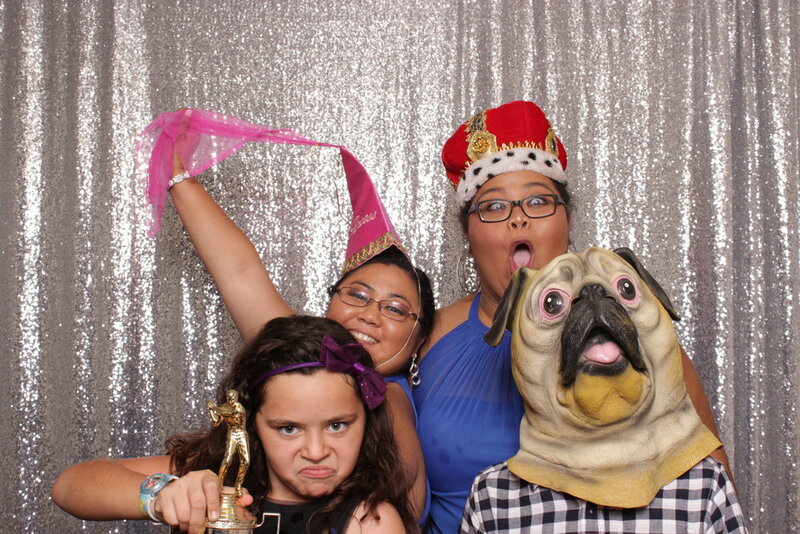 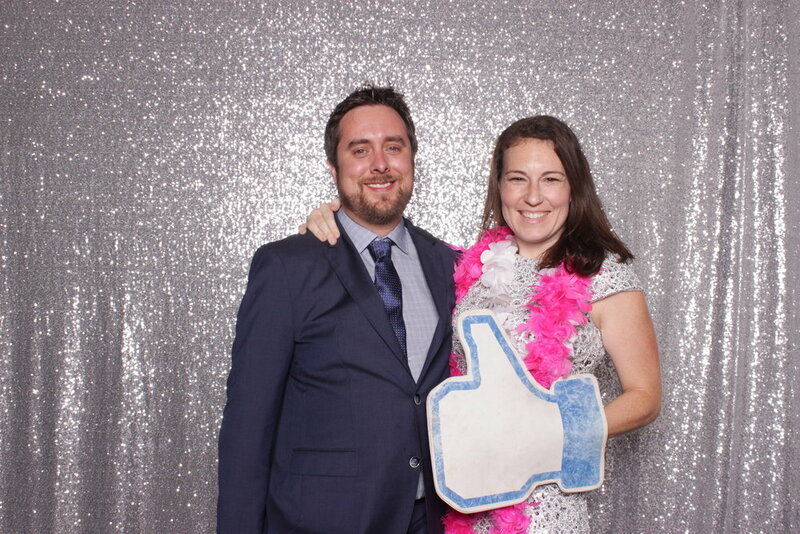 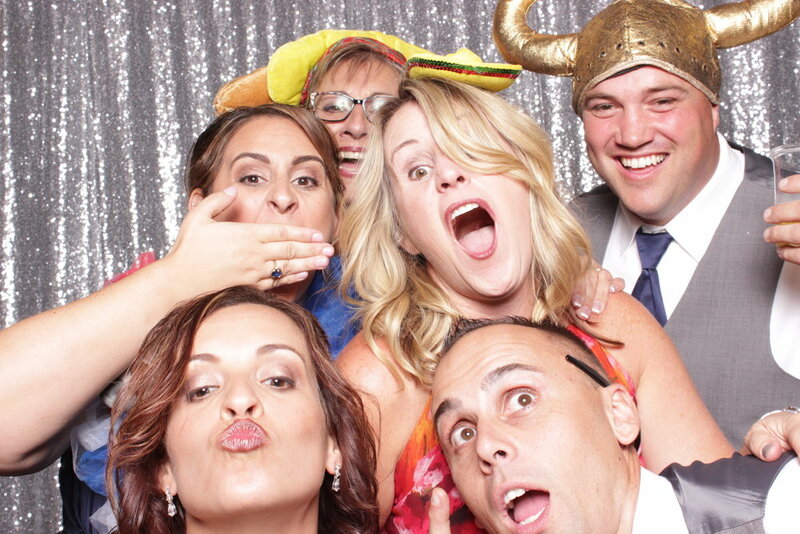 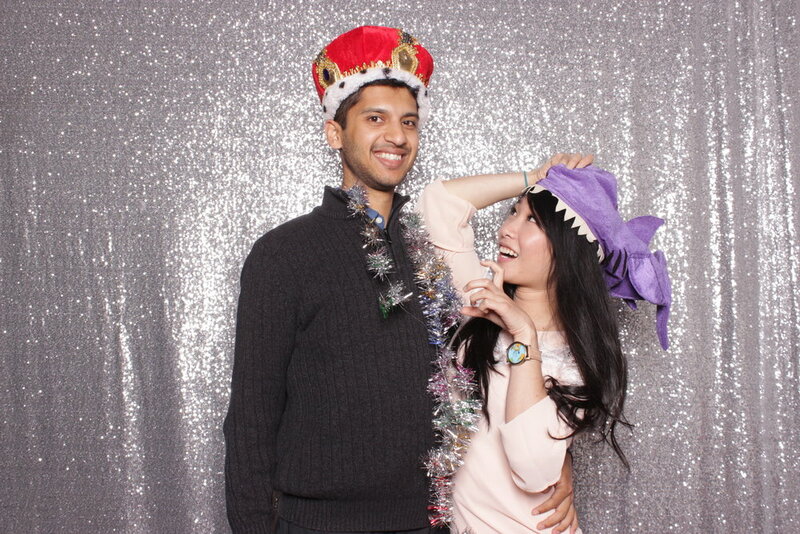 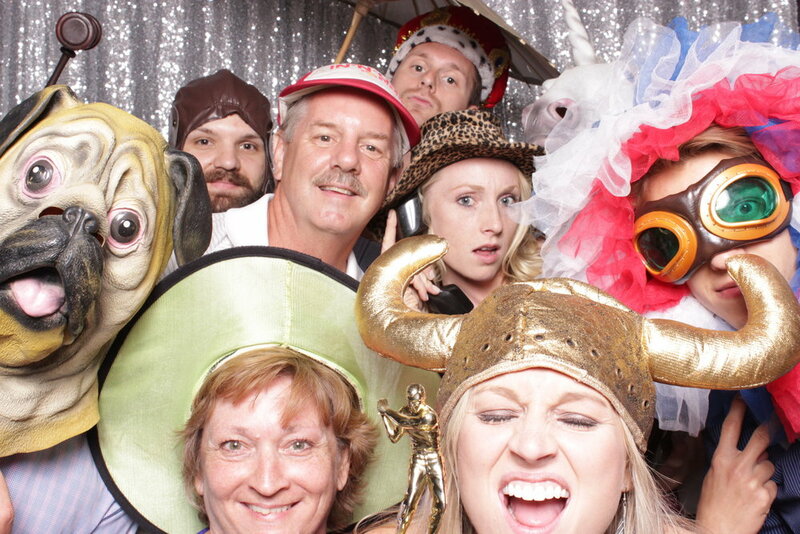 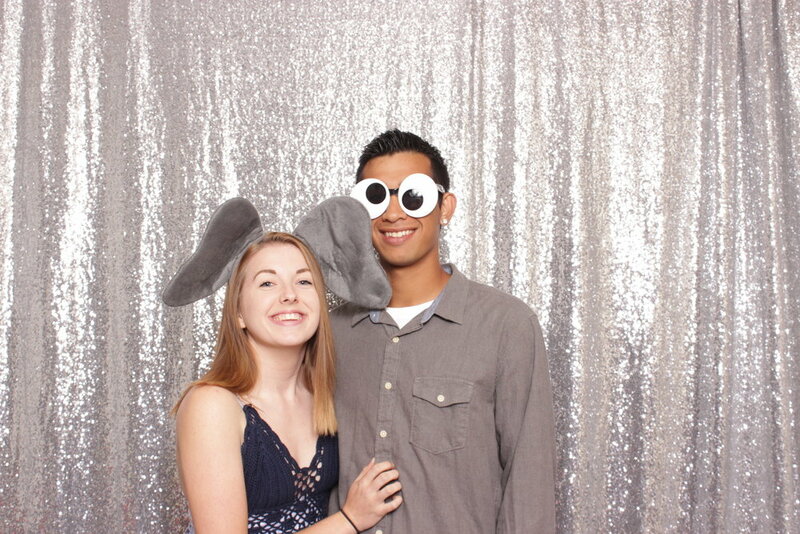 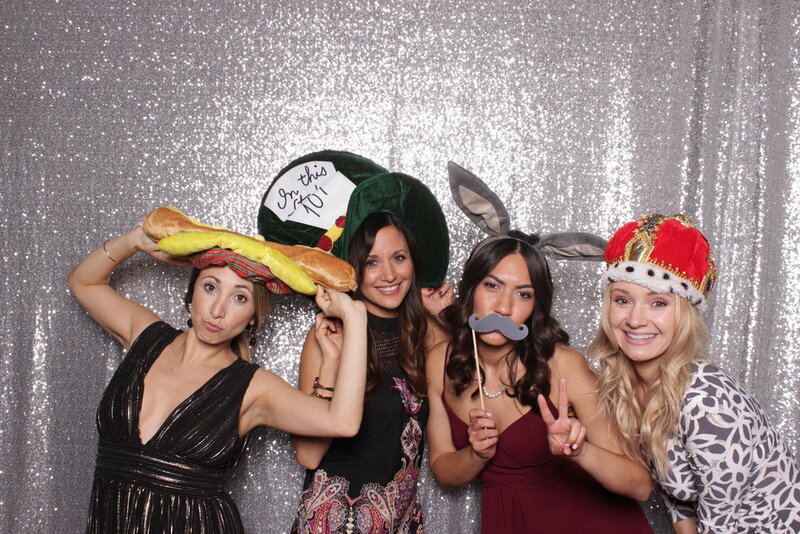 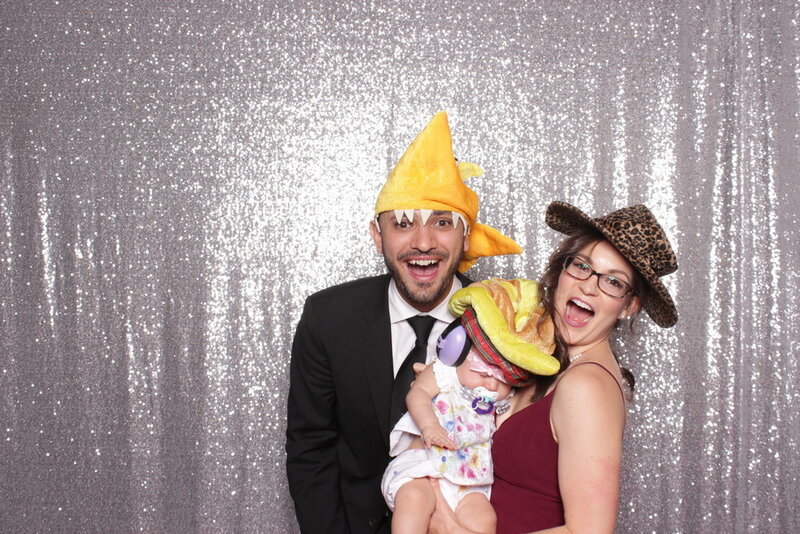 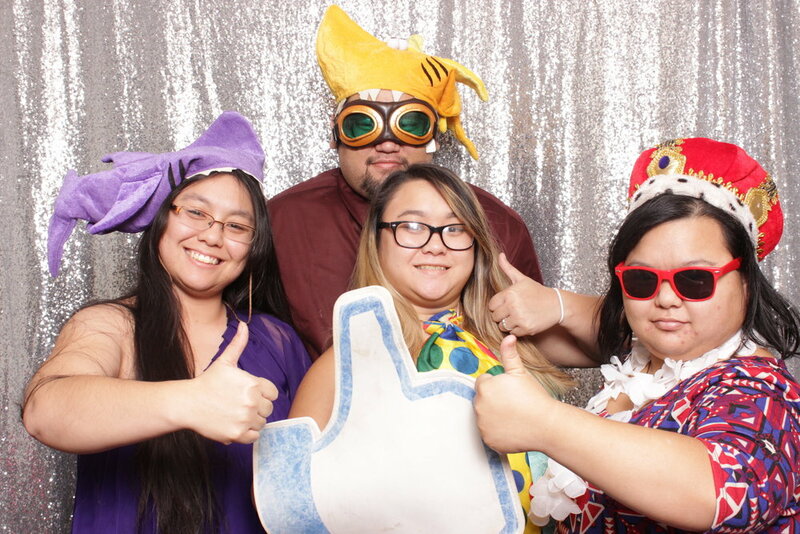 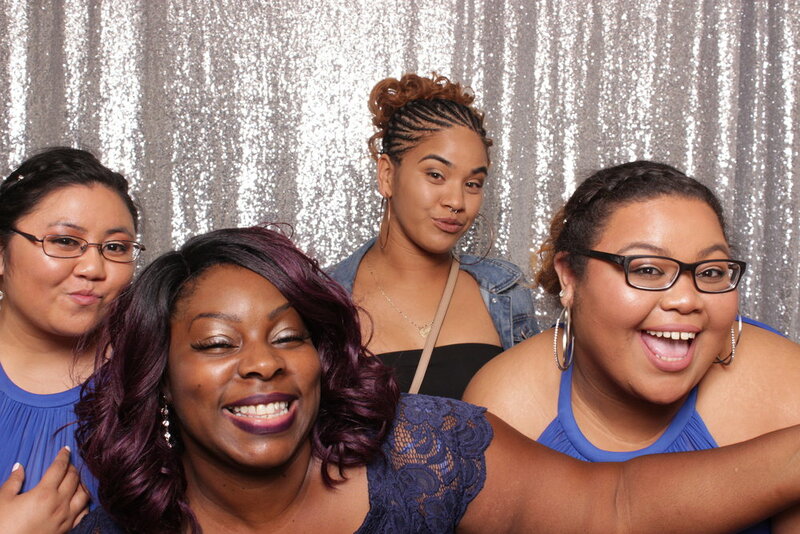 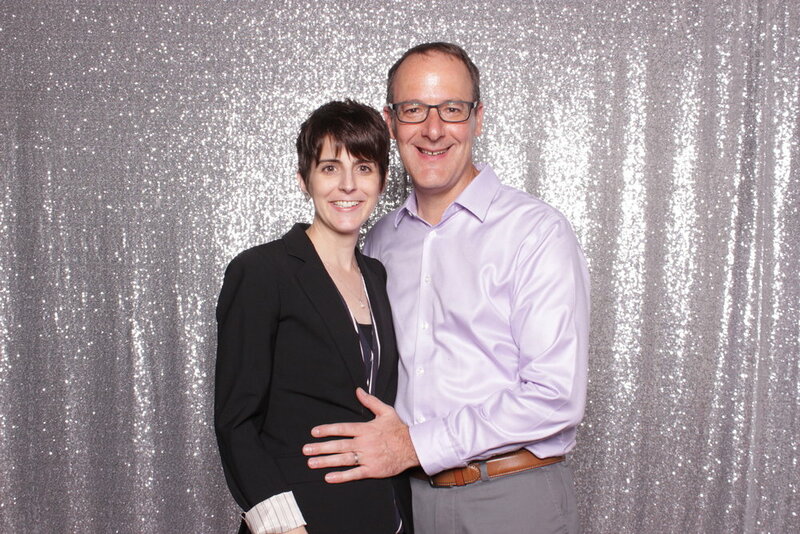 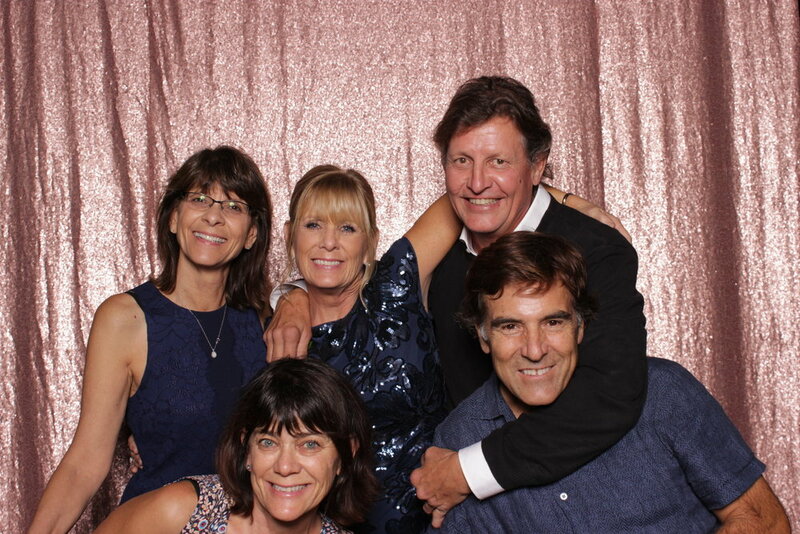 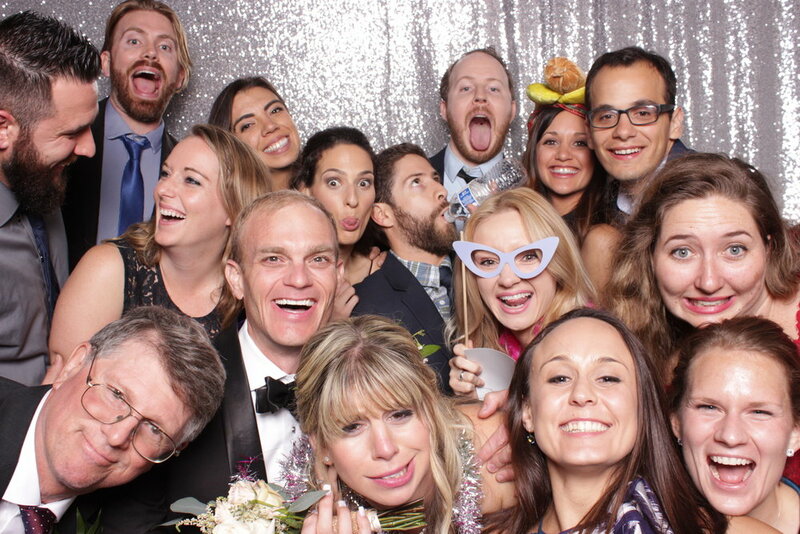 Naturally, guests had a lot fun with TrèBooth! 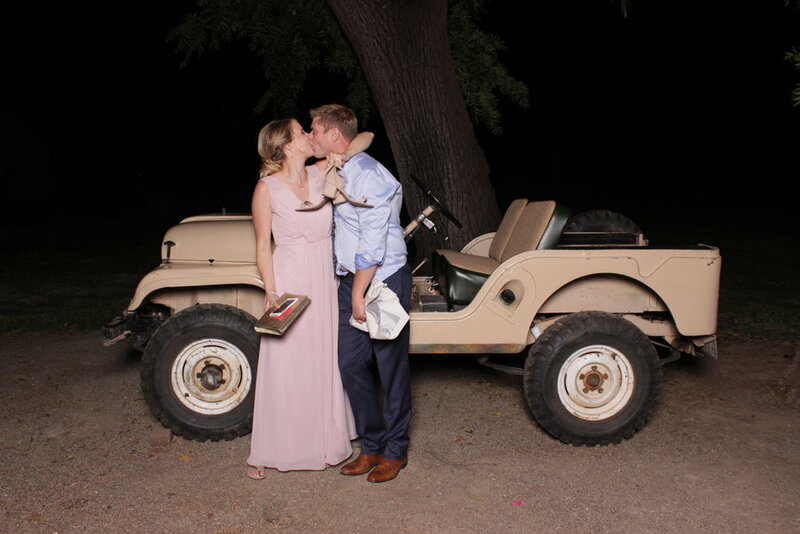 The chosen sequins blush background was perfect for Bret & Jennifer's special day. 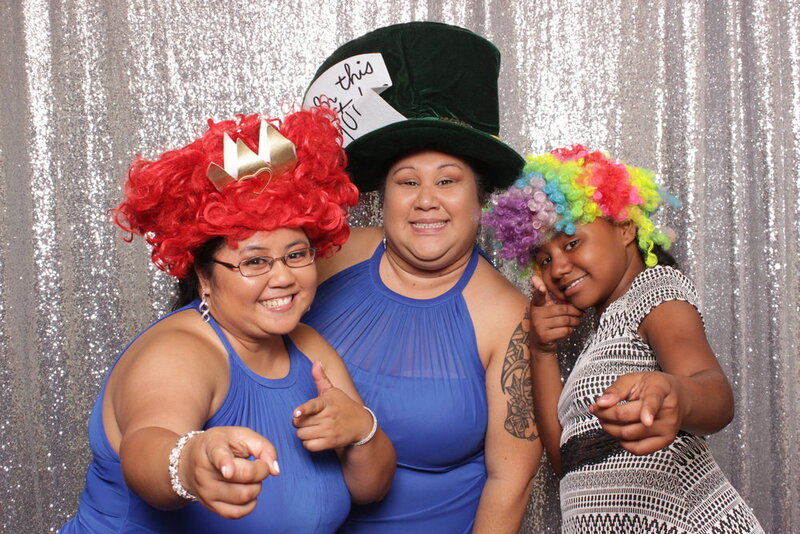 To view the full gallery and download photos, please visit this link! 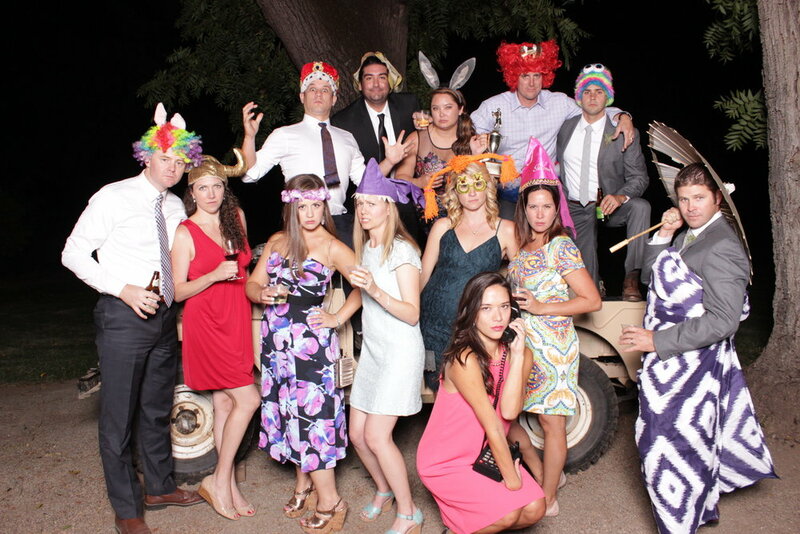 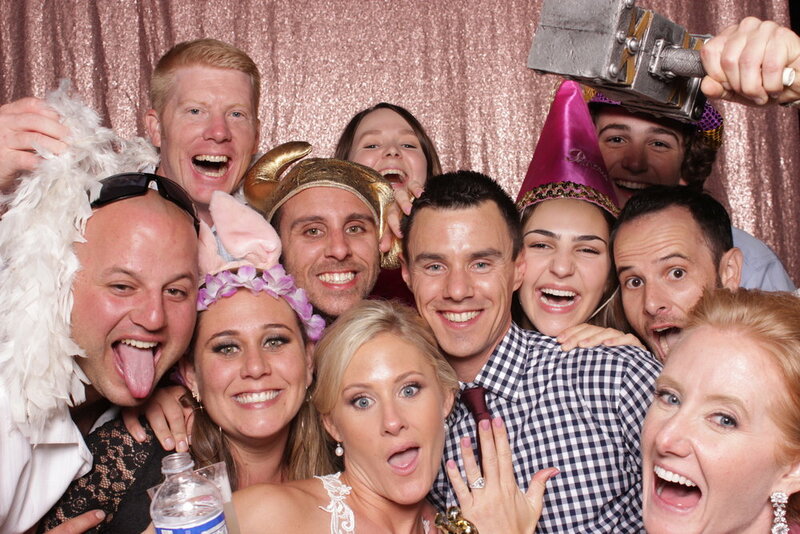 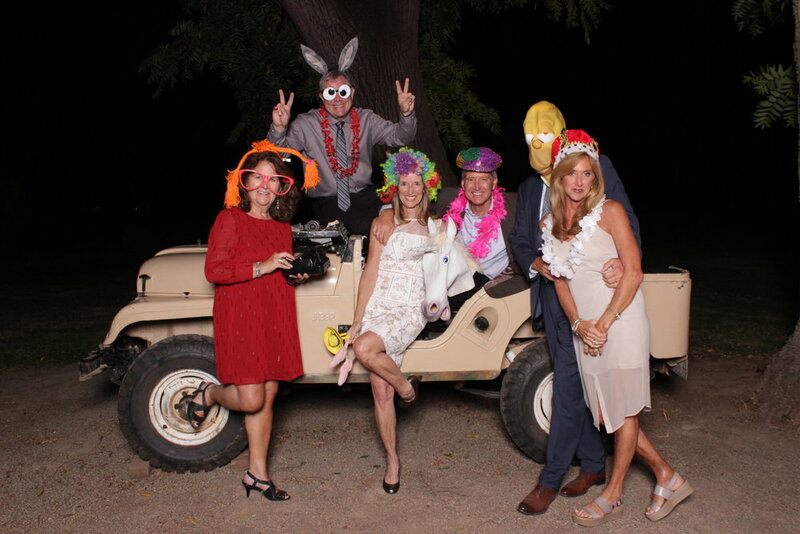 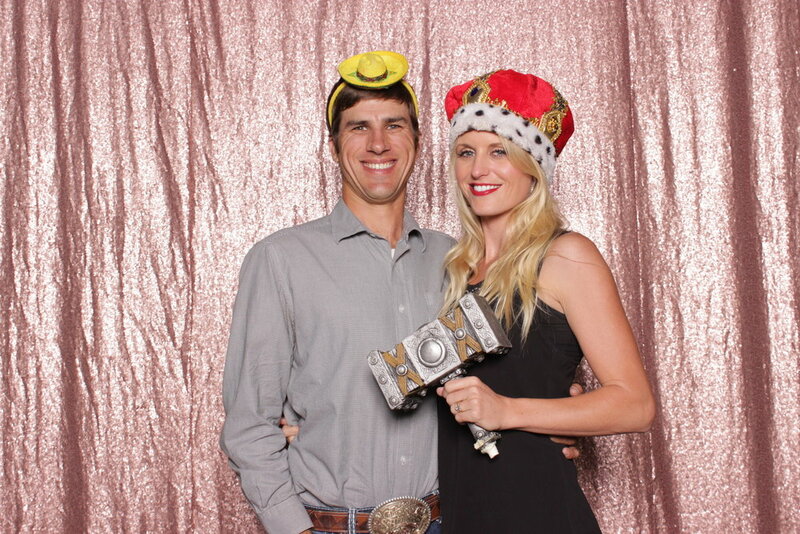 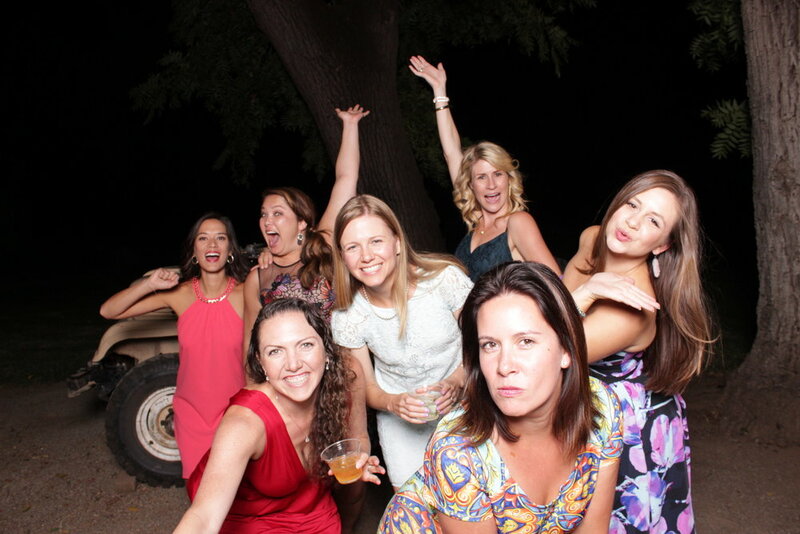 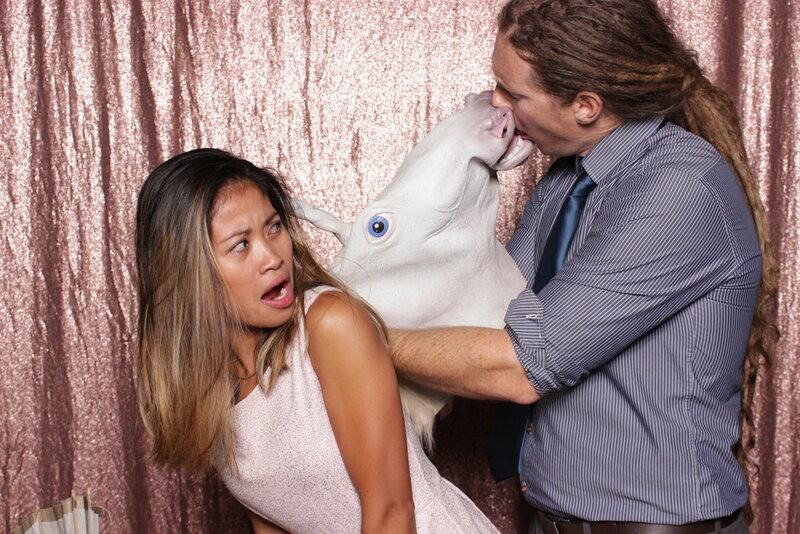 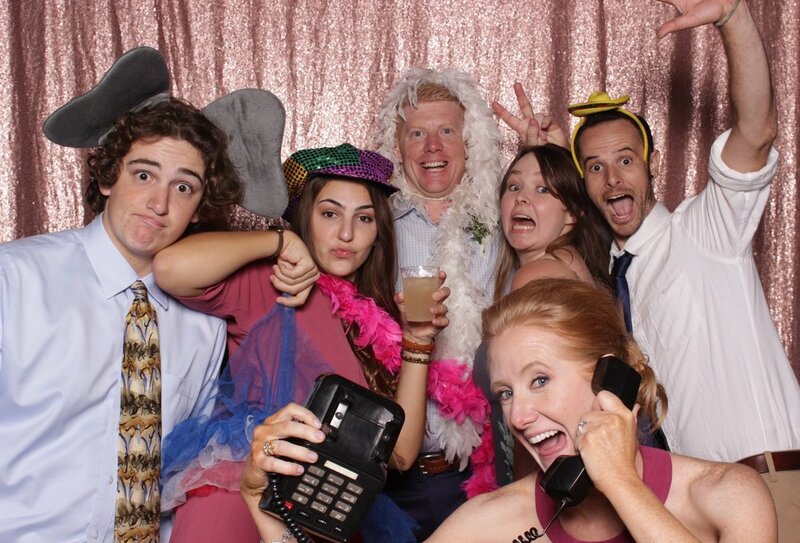 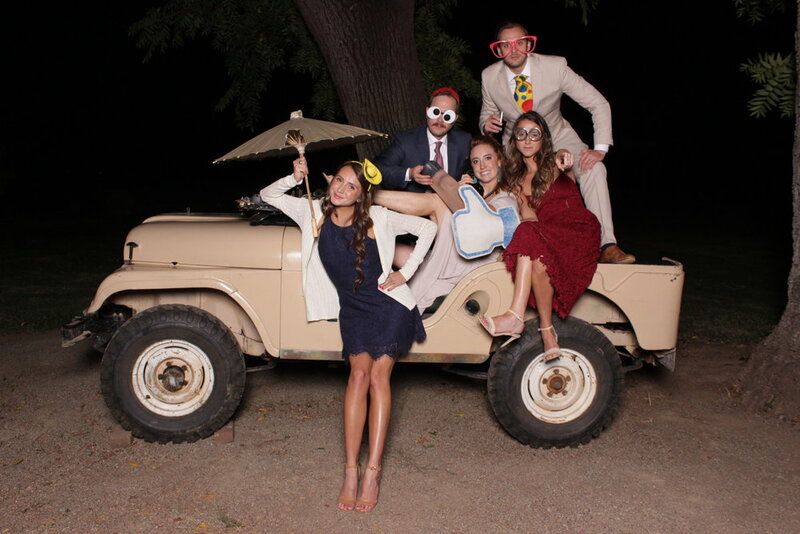 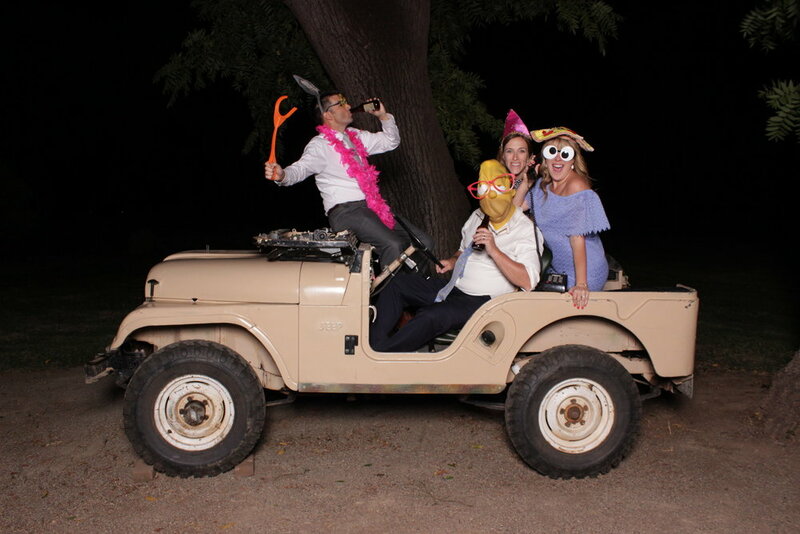 Marshall and Kelsey had some wild guests come through the photo booth at their Patrick Ranch wedding! 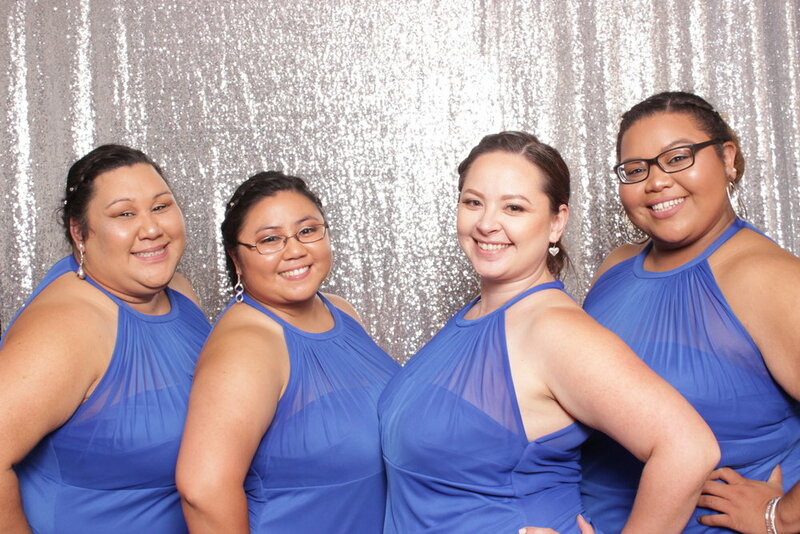 Opting for a sequins silver background, their choice was very fitting for this classy and commemorative event! 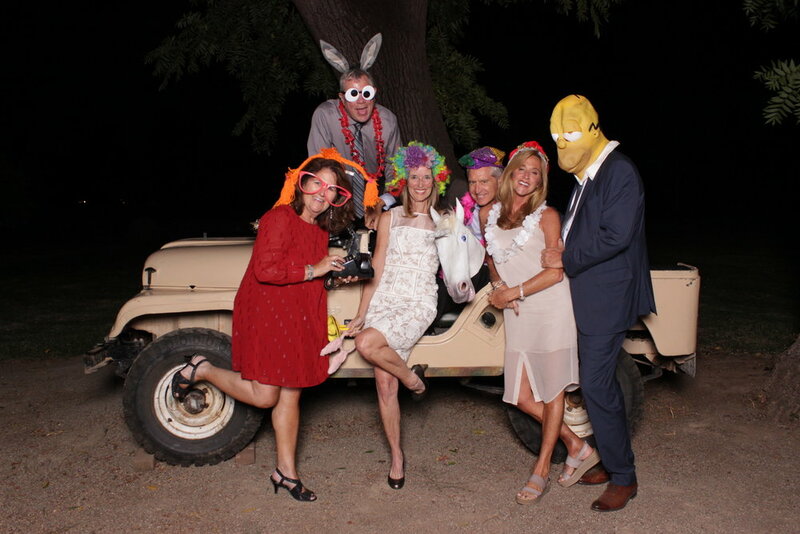 To view the full gallery and download images, please visit this link! 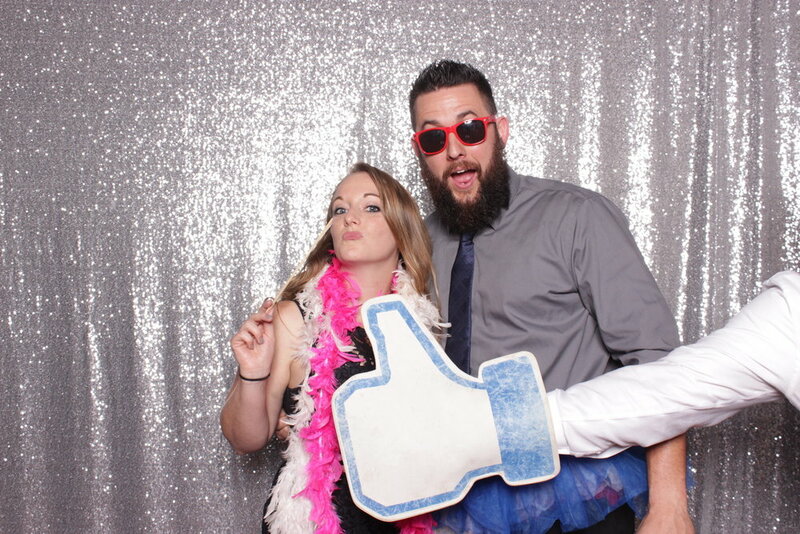 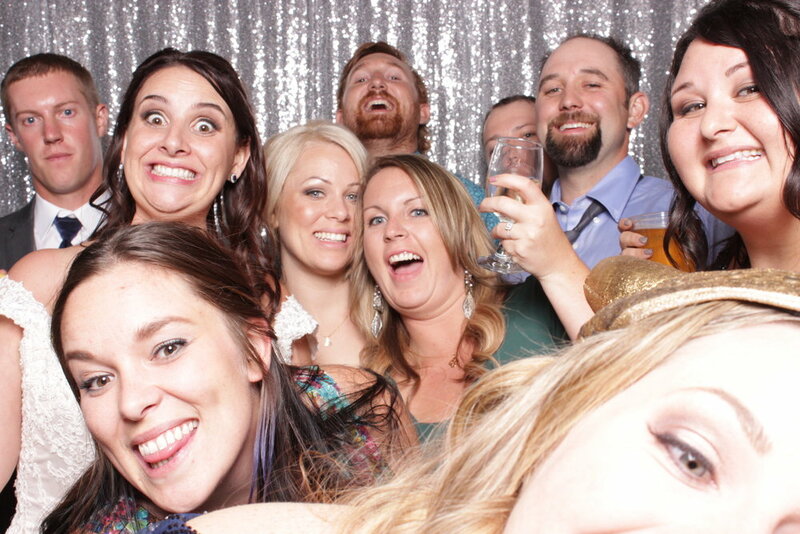 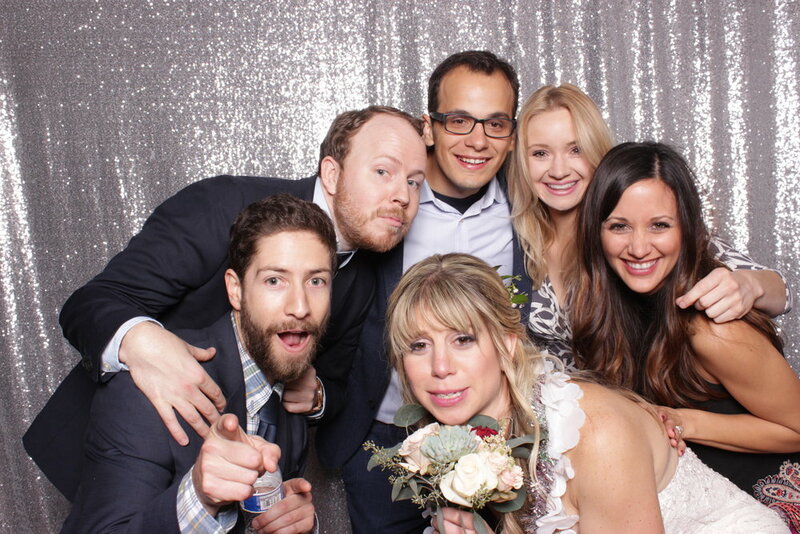 Jeff & Katie's wedding was an absolute blast and TréBooth was there to capture some awesome moments! 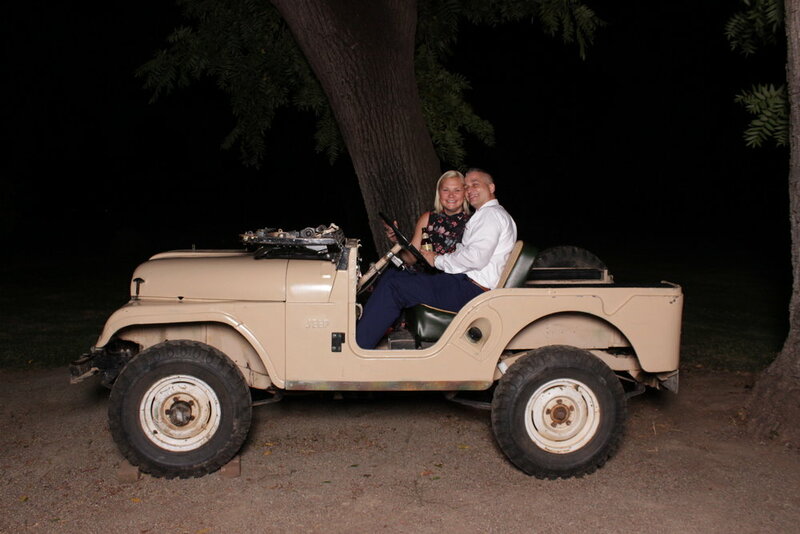 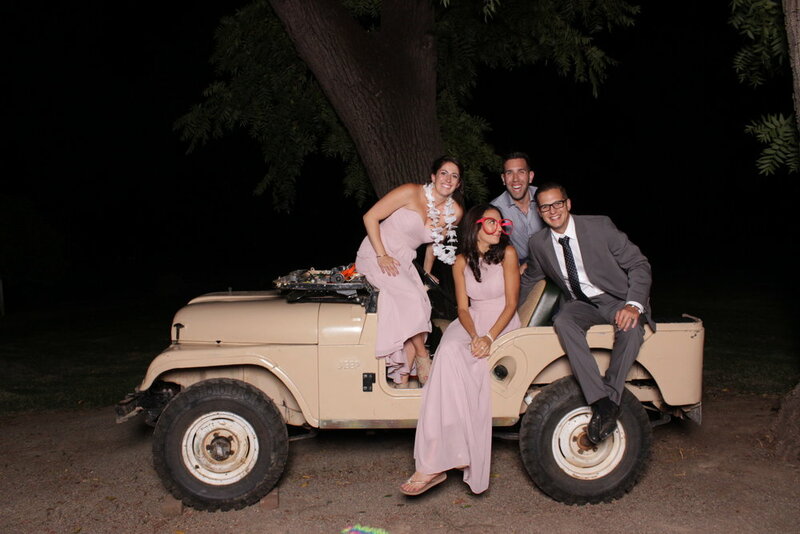 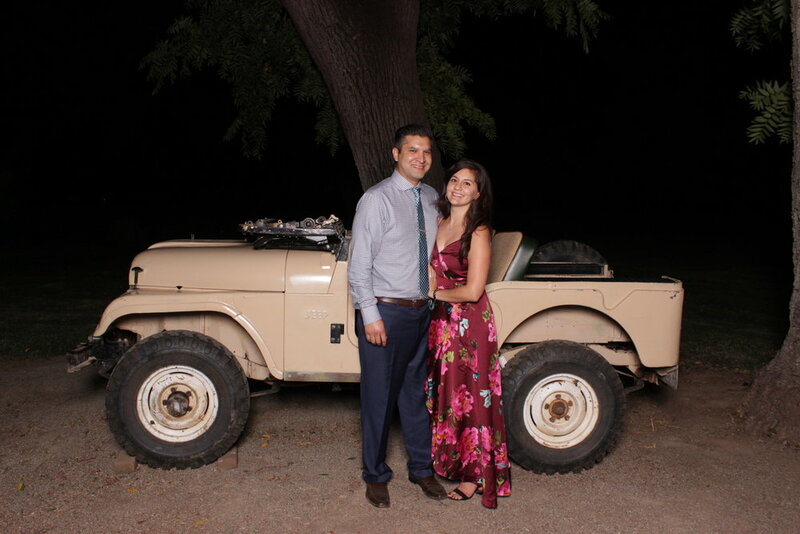 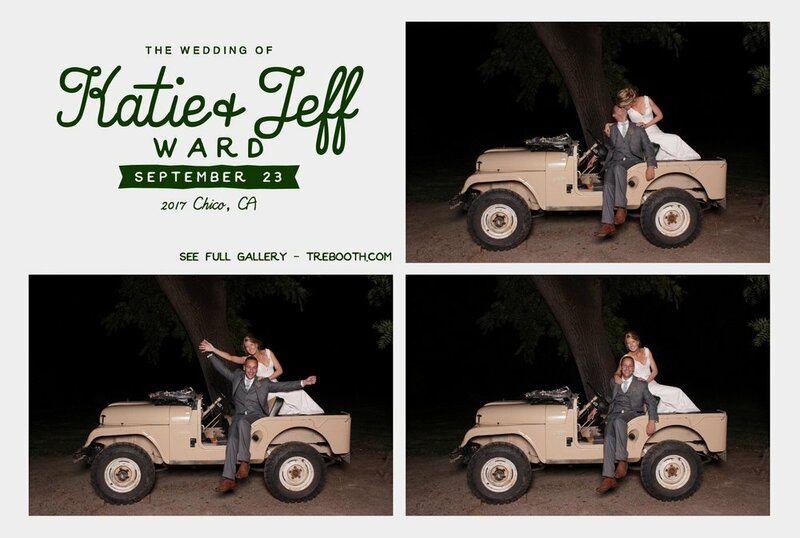 Set at Patrick Ranch in Chico, CA, the newlyweds chose to use a vintage Jeep as their background, which their guests made very creative use of! 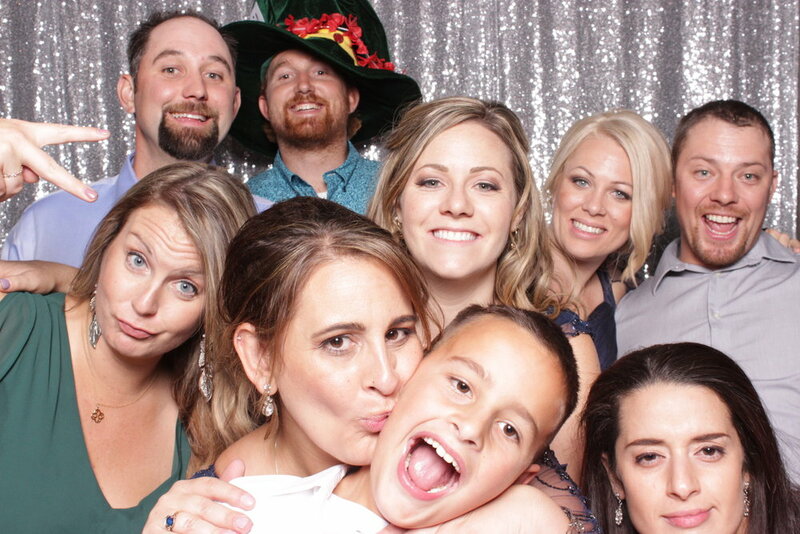 Check out some of our favorite moments and be sure to visit the full gallery to view and download images!